Pixel puppies are here! 10 pups! Pixel’s pups came yesterday! So far they are all doing well. 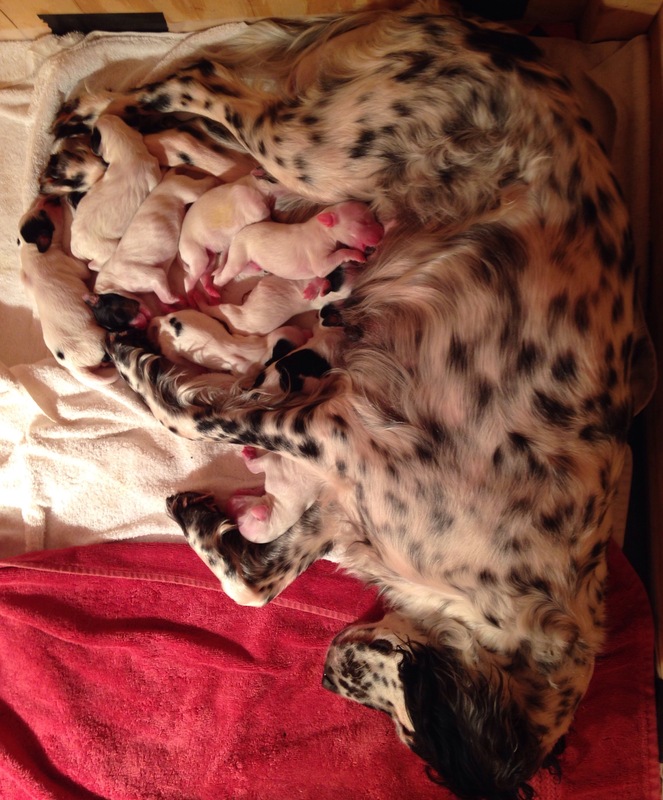 Seven boys and three girls. We still have males available. Great opportunity to own fantastic grouse dogs. Ready to go to their new homes on March 23rd, 2016. Next Post The Storms have been named!